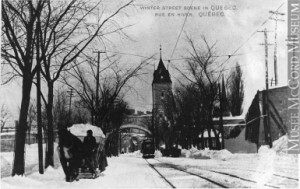 Winter street scene, Quebec City, QC, about 1910. Source: McCord Museum. ActiveHistory.ca is on a hiatus for the winter break, with a return to daily posts in early January. Thank you to all our contributors, guest writers, guest editors, and readers for making 2015 a very successful year. Happy holidays to all and we look forward to continuing our work in 2016!